This July, the Petco Foundation is inspiring animal lovers to learn more about fostering rescue animals with their “Be a Lifesaver” initiative. iHeartdogs had the privilege of interviewing Petco Foundation president, Susanne Kogut, about how fostering is an important piece of the animal welfare puzzle. With a house full of rescue dogs and an influential career leading animal welfare organizations, Susanne is spreading the word about how everyone has a chance to “Be a Lifesaver.” We asked her a few questions about the importance of fostering rescue dogs and how everyone has a chance to get involved. Check out her responses below. Q: Why is fostering so important to individual shelters? I am passionate about the importance of fostering to save animal lives. So, let me answer this question with a personal example. Years ago, when I took over an animal control shelter that was still euthanizing animals for space, they only placed 300 of their total 4,500 animals into foster care. We immediately asked the community for help and we increased the number of animals fostered to 2,000. Thanks to the help of these foster parents, we eliminated unnecessary euthanasia. So simply put, fostering absolutely saves lives. It gets even better though, because every animal fostered starts off its journey to a new home so much happier by spending their time with their foster family. Plus, we have better information about these pets to share with their new adopters. The animal welfare organizations then can focus their attention on those pets needing special care. Q: Where does fostering fit into the grand scheme of improving animal welfare worldwide? We believe if fostering was the standard course everywhere – meaning something that most pet owners did to help – we would no longer have to euthanize animals in this country. I like to say if every pet owner fostered “Just One” pet a year, we would eliminate unnecessary euthanasia in this country tomorrow. But it is much simpler than that. Let’s look at the math. Estimates suggest that there are 80 million households with pets, and less than 2 million pets are euthanized annually in this country. So if less than 3% of households with pets fostered “Just One” pet each year, we could save their lives. There are enough homes for the animals in this country, and when the community comes together to help their local animal welfare organization, we can save these wonderful, loving creatures. Q: What does it take to be a foster for a shelter dog? It takes a love for animals, and the rest will work itself out. In most cases, fostering is as simple as opening your heart and your home and letting that foster dog join your family temporarily. However, because most organizations prepare for the unexpected, they often have various guidelines and requirements. Some organizations have foster training classes, while others have a simple application and will explain the pet’s needs at the time of fostering. Each organization is different, so individuals wanting to foster should check out several organizations in their area. My advice to new fosters and to organizations is apply common sense based on the foster’s circumstances and the particular pet’s needs. Saving lives is a balance between looking for perfection and providing a better alternative. Q: What do you think the main hurdle is that’s holding people back from becoming foster dog parents, and what would you say to those with that concern? What I often hear are two primary concerns – I don’t have enough time to devote the attention to a foster dog, or I would never be able to give them up. My answer to the first hurdle is this – keep in mind that you will be fostering a dog that is at this point living in a kennel enclosure. The time you give to that dog before you go to, or when you return from, work is time that dog will relish and the home living conditions will be less stressful for the dog. Maybe fostering that dog will force you to take a walk in the morning and the evening and help reduce your overall stress level. There is a line from an old commercial – “Try it, You’ll Like it.” I have spoken to so many people that are first time fosters and every time in the end they have learned that their litany of concerns were unwarranted. They also love to share how fostering has changed their lives for the better, because of the joy and love that foster pet brought into their home. The “Be a Lifesaver” initiative is shining a spotlight on everyday lifesavers who open their homes to foster dogs in need. 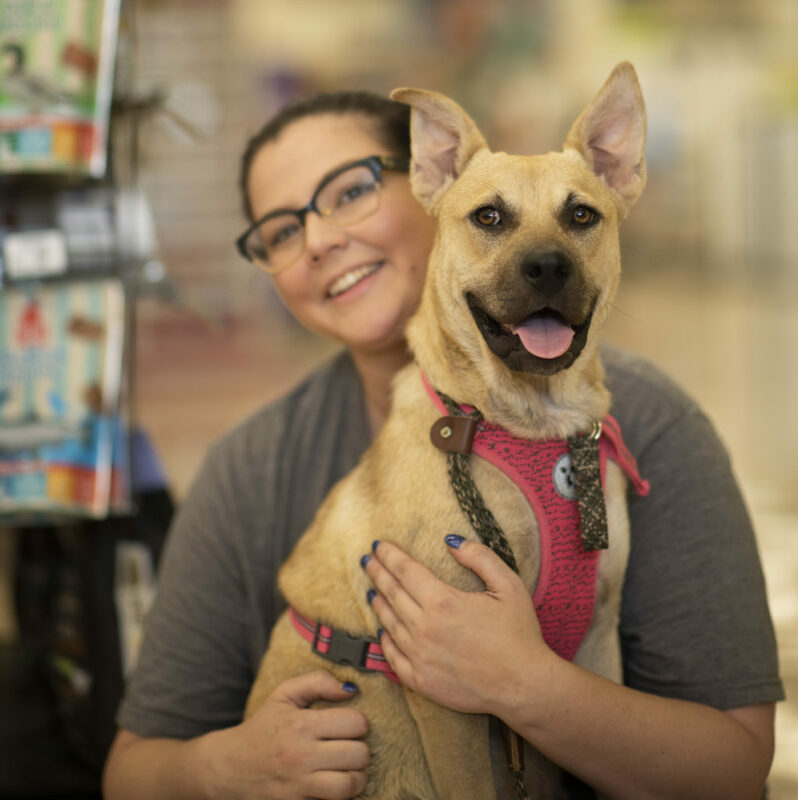 The campaign will run until July 22, and in the meantime, Petco shoppers are invited to be lifesavers by making donations toward animal welfare organizations at Petco stores across the country. Additionally, Petco Foundation has recognized 50 “All-Star Fosters” for their lifesaving efforts. The’ll each receive $150 to go toward supplies they need to continue their great work. To learn more about Petco Foundation and ways to contribute to lifesaving causes, visit www.petcofoundation.org.